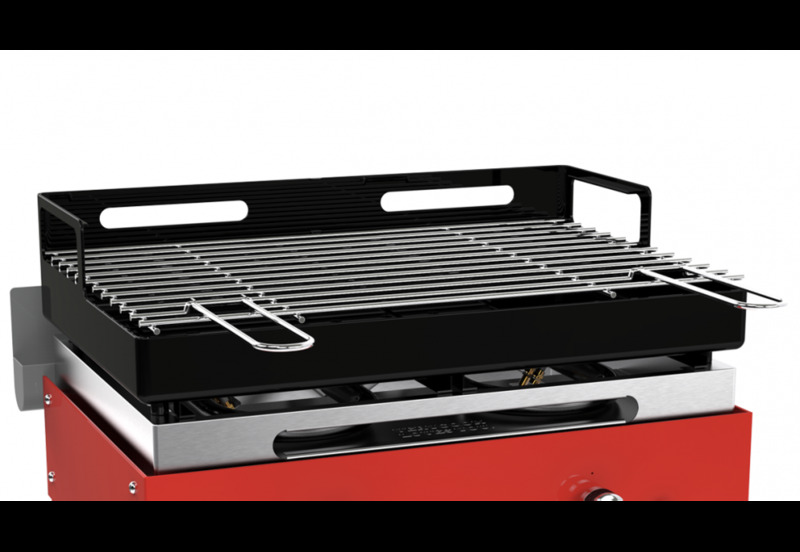 WHY EQUIP THE PLANCHA GRILL CREATIVE WITH THE CHARCOAL GRILL? 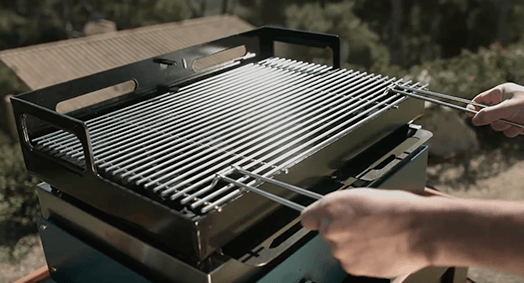 With this accessory, you can barbecue on a charcoal grill, which is quickly ready for use. 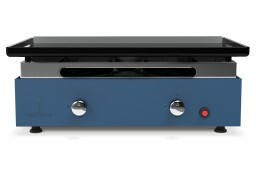 The powerful burners cause the charcoal to glow in less than 5 minutes. Once the charcoal glows, the burners can be easily turned off again. Nothing stands in the way of the perfect barbecue experience now. 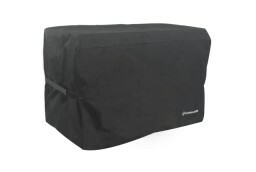 This accessory is essential for all fans of charcoal grills! Place the charcoal container on the burners instead of your plancha grill plate. Then place the two ash collector plates under the coal container. Evenly pour the charcoal into the container and remove the two ash collector plates. The coal is now in direct contact with the burners and allows rapid ignition. Turn on the two burners for about 5 minutes to heat the coal. Then turn off the burners, the glowing coal grills your food directly. 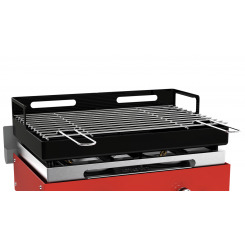 Install the grill and reposition the ash collector plates which protect the burners before grilling. Your Verygrill is ready to use. How do I install my barbecue / plancha? Place the charcoal or another recommended fuel on the bottom of the container. Switch on the burners of the plancha gas grill. The flames of your burners make your coals glow easily and quickly. Turn off your burners as soon as the first coals glow (between 1 and 3 minutes). Spread your coals with tongs inside the container. Set the grillage to the desired height. 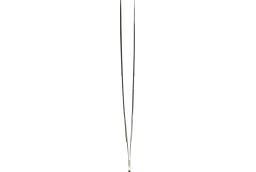 You can then no longer move the grillage while it is hot. Once the coals are glowing and covered with a thin layer of gray ash, your barbecue is ready for use. You can now place your food on the grillage. 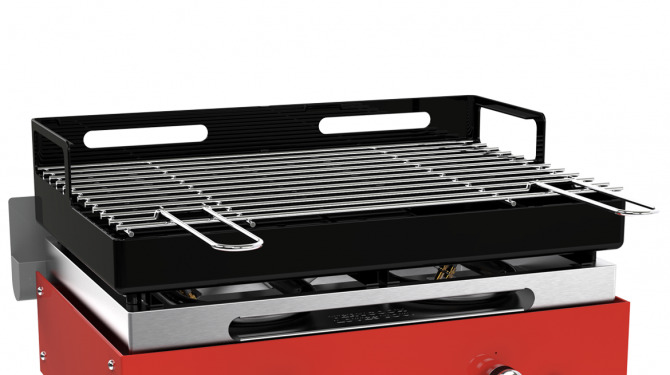 With which plancha gas grill is the barbecue accessory compatible? 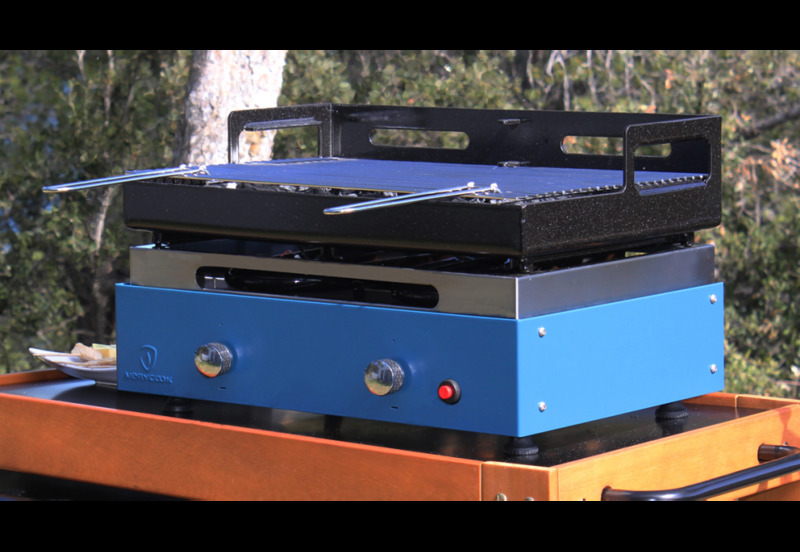 The barbecue accessory is compatible with the plancha gas grill with 2 burners from the Verycook Creative series. 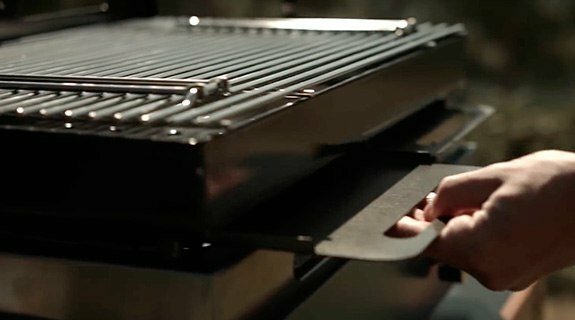 How do I find the right temperature for my barbecue grill? How do I arrange my charcoals best? There are two ways to arrange your coals. You can spread them over the entire grill area or collect them on one side. This is called direct or indirect grilling. What is the difference between these two grilling methods? If the ember is just under the food, it is a direct grilling of the food. Direct Grilling is ideal for small, not too thick foods such as minced steaks, seafood, fish fillets and sliced vegetables. PFor some thicker pieces of meat or for whole fishes, it is best to start with direct grilling and finish the preparation with indirect grilling. The latter is also very good for meaty vegetables, which require a long and gentle cooking time. Which position should I choose for my grillage? If you place the grillage in the upper position, you can grill foods more gently, which is particularly suitable for vegetables or fish. 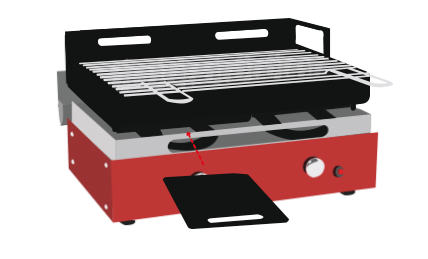 To grill at high heat, position your grillage in the lower position. This lower level is better for grilling food such as large pieces of meat. How do I clean my barbecue grill Verysmart or Verygrill? When the grill is turned off and the ashes are cold, remove the grillage and the charcoal container. Remove the ash from the charcoal container and the ash collecting tray at the end of each use. You can clean the grillage, the charcoal container and the ash collecting tray directly in the dishwasher or with a conventional detergent and water. Rinse the parts thoroughly with clean water and dry them off. It is recommended to clean the entire grill regularly. What kind of fuel can I use for my barbecue grill? 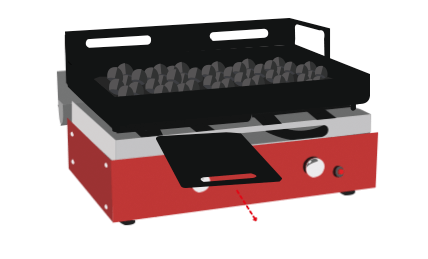 The barbecue grill (Verysmart or Verygrill) is a product that can be used with most conventional barbecue fuels. Namely: classic charcoal, charcoal pellets in the form of slices, flavoured coals, vines, but also firewood. The recommended fuel, however, remains to be the conventional charcoal. 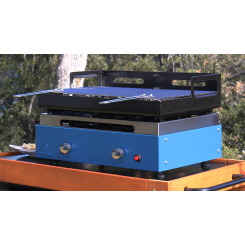 Is the cooking lid compatible or the Verysmart barbecue or grill / plancha? 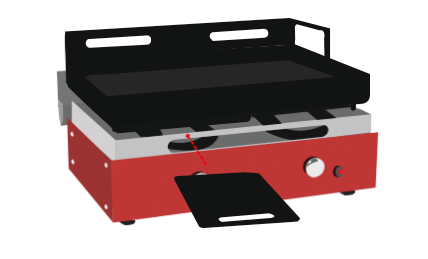 The Verygrill barbecue or Verysmart barbecue / plancha is compatible with the cooking lid. The cooking lid can be closed after use. 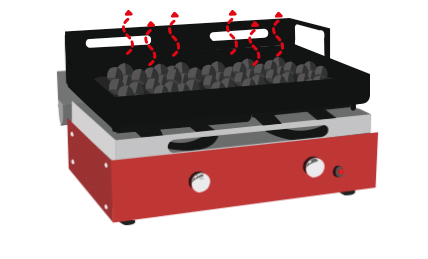 However, the lid should be left open during barbecuing so that the flames do not reach the underside of the lid. The lid can thus act as a protection but also to keep food warm after cooking. Designed for barbecue lovers! For lovers of a smoky taste, this product fits perfectly onto your plancha grill allowing you to make more traditional barbecues with charcoal.